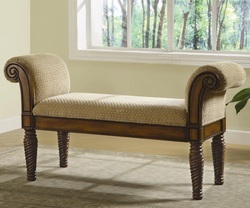 This stately upholstered bench will make a statement in your entryway, hallway, bedroom or living room. 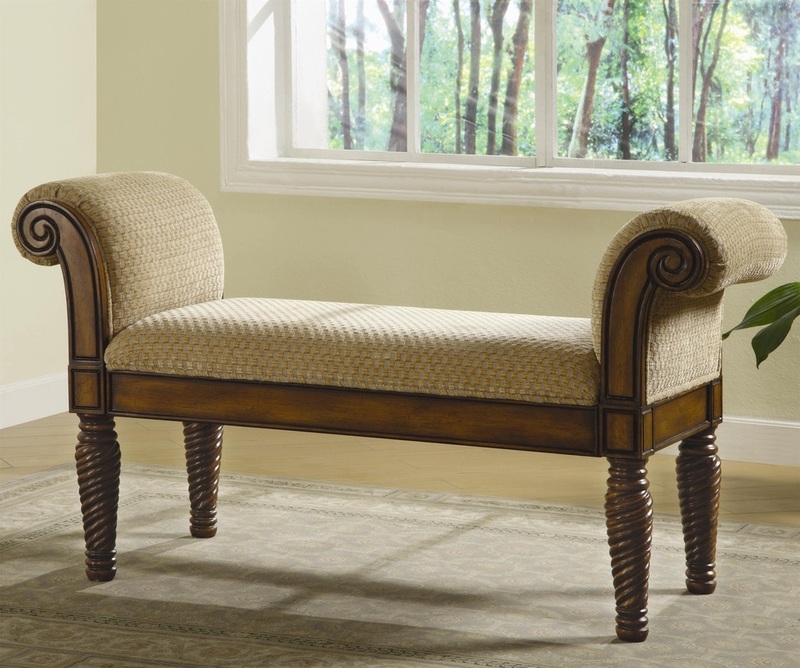 A beautifully detailed wood base is accented with turned post legs and curved armrests with detailed carvings. A cushioned seat is upholstered in a neutral fabric that continues on the rolled arms for plush comfort. Use this upholstered bench with arms anywhere you need additional seating and a hint of traditional style.